You fought the panic monster and you won! Everything looks great! You beat the monster!! Way to go. Socks are wonderful. Like you, I live to experiment with various heels and toes. Always searching for the perfect sock!! 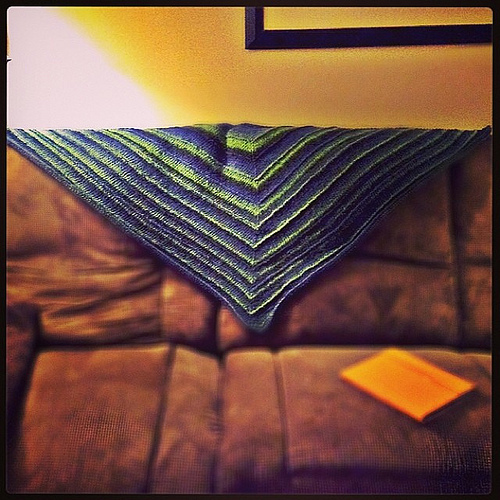 Boneyard shawl is lovely – love the colors. 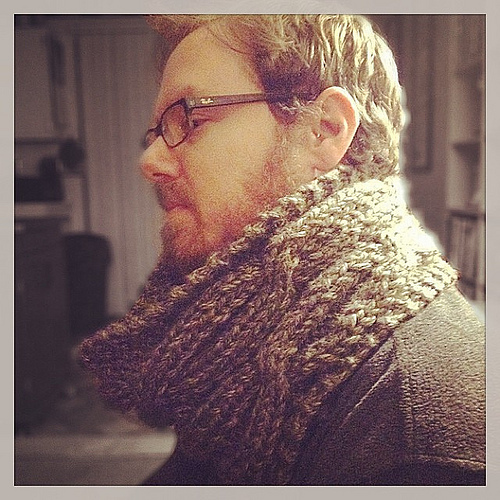 Cowl is cool – I agree that it’s a good pattern is use Kitchener stitch. Thank you! So what are your favorite sock heels and toes? 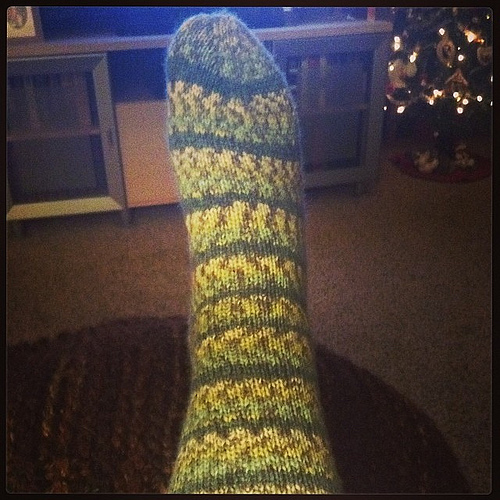 I was reading Knitter’s Book of Socks by Clara Parkes and she had a pattern in the very back called….oh I am going to muck this up….the Indestructible sock? I am dying to try it! I like how you have those cables offset. I made a cabled band recently and then mindlessly seamed it, forgetting to work the cables opposite so it would look seamless. I don’t even know if that would have worked and I lack the energy to try again. That’s good advice but I hate to think of the five-month pair of socks – at that rate I could wear them out faster than I could make them! 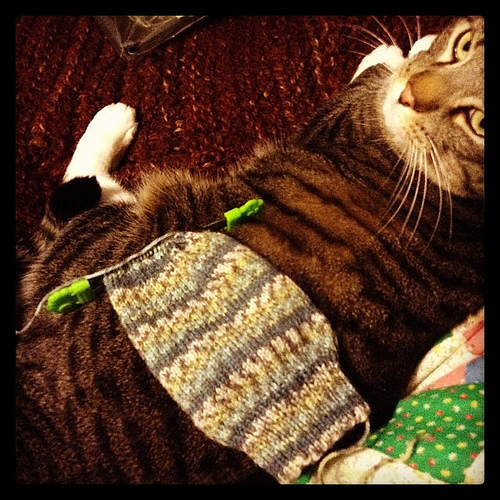 Okay, take socks off the table for a moment – what do you want to spend your time making? 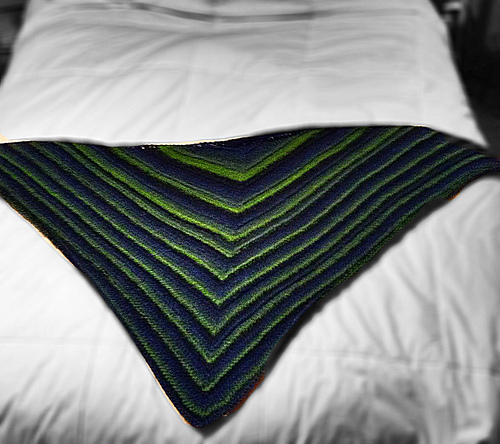 You’ve got your writing – which is better than my knitting I will admit…bitterly – but if you like the other creative outlet think about what you want to spend your “free time” doing 😉 I’m curious to know what it is. Really I just want free time. But I’ve been wanting to clone this hat I saw on TV and I made the one but it’s kind of thin and knit with size 10.5 needles so I wasn’t able to get anywhere near the design on the actual hat, which has a Celtic knot cabled into it. Do you have a pic of the hat? 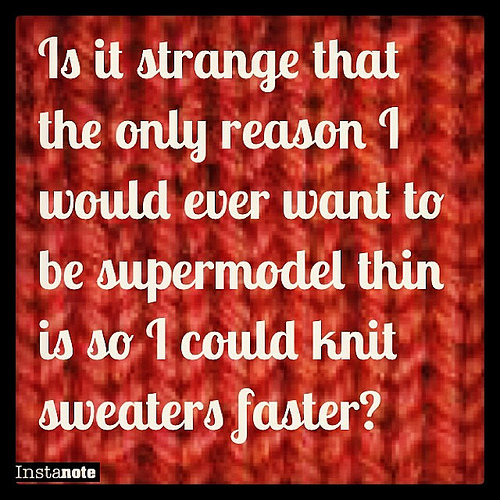 I could post it on my blog and tap that talent out of all the (far more talented) knitter’s that read my blog. Hell, maybe this will be the time I actually figure it out! I actual have several on the Mac, I’ll have to email them to you later. I figure, why not? I tried to make a pattern and follow it myself, but the thing actually imploded somehow. I am proud of you. You are stronger than any monster. And now that you know you can finish things beautifully, you can keep on finishing those WIPs so we can see them! Q – Love the cowl! Talking about the Panic Monster takes away its powers! Keep talking. This is very true. In the next few months I suppose I will talk about it quite a bit – at least until it gets warm again. Knit that sweater, girl. I am working like mad on mine. I figure if it is 93 percent correct I get an A.
Oh S?1T – I need to get on that! Don’t worry, the button tabs will take me 20 years. They are so fiddly! Yea – I will probably be bugging you to help me figure out how to get that to work. I’ve just been so busy with orders – and my new lust of socks – that my sweater is just judging me from my knitting cabinet.